Cliffside Park, the Bergen County, N.J. borough conveniently located between the George Washington Bridge and Lincoln Tunnel, will soon command a larger piece of the Jersey Gold Coast conversation with One Park, a new luxury building featuring modern residences and a full complement of lifestyle amenities and services. One Park will feature 200 residences, according to developer DMG Investments, a Manhattan-based real estate firm known for developing high-end new-construction projects in vibrant urban settings. Sales will be directed by Halstead Property Development Marketing (HPDM). DMG has unveiled an exterior rendering of the building and launched a teaser website at www.OneParkCondosNJ.com. 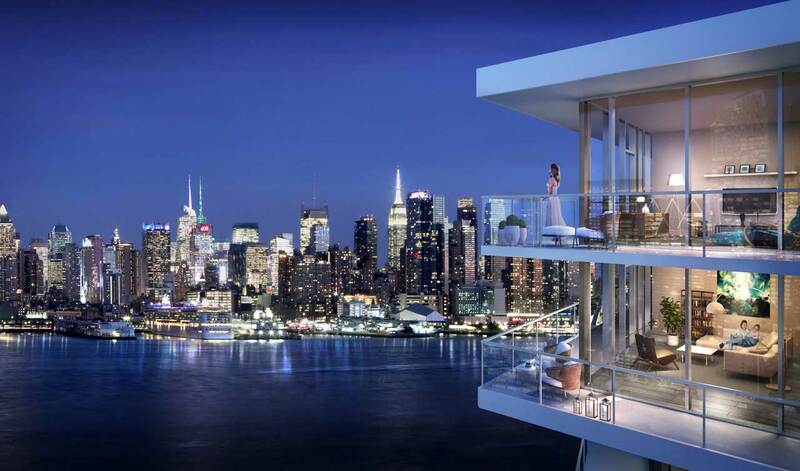 “With a location atop the Palisades offering uninterrupted views of the Hudson River and Manhattan skyline, proximity to New York City and easy access to the local dining and shopping scene in Cliffside Park and along the waterfront’s River Road, One Park will appeal to those looking for a dynamic, convenient and amenity-rich lifestyle,” said Benjamin Watson, Vice President of Marketing for DMG Investments. DMG tapped distinguished firm Architectura to design One Park. The 14-story building will feature a glass curtain wall and private outdoor space for every home to take full advantage of its setting and sweeping vistas. A mix of stylish one-, two-, three- and four-bedroom residences will appeal equally in both design and function. A full suite of recreational and social amenities will enhance residents’ lifestyles. One Park’s Cliffside Park location has long attracted those commuting to New York City for business and pleasure who appreciate its proximity to the George Washington Bridge, Lincoln Tunnel and New York Waterway ferry service to Manhattan. The one square-mile borough also enjoys a diverse dining scene ranging from Italian to Turkish. The main thoroughfare, Anderson Avenue, or “The Avenue” as it is affectionately referred to, is also lined with boutique stores and shops, while an eclectic offering of dining, shopping and waterfront recreational and nightlife pursuits are just minutes away in Edgewater, Weehawken, North Bergen and Hoboken. For more information on One Park, visit www.OneParkCondosNJ.com.